Waitematā is the first local board area to draft a localised carbon reduction plan to support the region’s 10 year Energy Resilience and Low Carbon Action Plan. 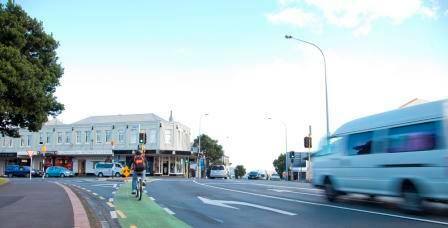 Residents are able to make submission on Becoming a Low Carbon Community: An Action Plan for the Waitematā Local Board Area 2014 – 2017 until Saturday, 16 August. The draft plan focuses on how, at a local level, greenhouse emissions can be reduced through; efficient energy use and waste, promoting sustainable transport options, encouraging local food production, and promoting effective and cooperative use of resources. For example local board facilities and events in the area will adopt a zero waste policy. “The whole community needs to get behind making the changes needed to transform Auckland and reach the target of 40 per cent reduction in greenhouse gas emissions by 2040. A copy of the draft Action Plan can be downloaded from the Auckland Council website. There is also an online feedback form available.